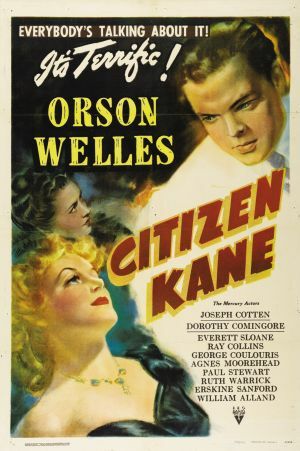 As one of the all time classics, has Citizen Kane still got what it takes to impress? Revisiting the life of Tycoon Charles Kane, a group of journalists go on a search to find the meaning of his final word: “rosebud”. Kane’s story is retold with the help of his former employees and acquaintances as we learn about his character, wealth and status. 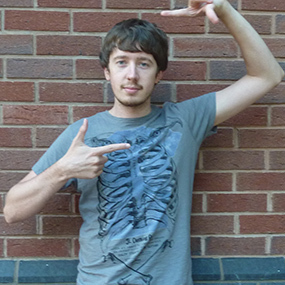 Kane is the focal point of the film, and his internal struggle with wealth and people, among other obstacles become increasingly engaging as the film goes on. His increasing anger with the world and people around him grows as slowly, transforming him from the happy guy at the beginning to the shady and controlling tycoon towards the end. This offers huge diversity to the character and ensures that despite his sour and off-putting attitude later in the film he still manages to capture the audience; an incredibly impressive feat. The style used in Citizen Kane is still visible throughout the film world, with franchises like The Godfather trilogy and many other modern thrillers showing similar techniques; using harsh shadows and dark tones the film constantly seems gloomy which compliments the mystery while also acting as a visual representation of a villain by placing them in complete darkness. In 1941, Technicolor was just coming into play in the film world, as seen in Gone with the Wind and The Wizard of Oz two years previously; the decision to not use colour and stick with black and white only improves the film, adding more of a mysterious element to this detective thriller. Combining this with an ever increasing use of harsh shadows also helps the transformation of Kane from jolly to unpleasant and rotten. Continual interviews of different people maintain the flow of the film, especially with the meaning of “rosebud” becoming the central subject of questioning; conversations with characters always add a new relevance and perspective to Kane’s well lived life and easily keep interest and pace. Although the film arguably crescendo’s to a slight anti-climax, it does finally offer a nice ending to what was a roller coaster ride in the shoes of Charles Kane. It's not difficult to see why Citizen Kane is held in such high regard for many; Kane's character transformation, and style used, are two of the most impressive aspects, adding depth to what is a very well developed story.